Dexamethasone is commonly used as an adjuvant to local anesthetics for peripheral nerve blockade; however, uncertainty persists regarding its optimal route of administration and safety. A systematic review and meta-analysis of randomized-controlled trials (RCTs) was conducted to compare the incremental benefits of intravenous (IV) vs perineural (PN) dexamethasone when used as adjuvants for peripheral nerve blockade to improve analgesia. A search strategy was developed to identify eligible articles from the Cochrane and National Library of Medicine databases from inception until June 2017. The National Center for Biotechnology Information Medical Subject Headings browser thesaurus was used to identify search terms and combinations of keywords. Any clinical trial that randomly allocated adult patients (≥ 18 yr old) to receive either IV or PN dexamethasone for peripheral nerve blockade was considered for inclusion. After full-text screening of potentially eligible articles, 14 RCTs were included in this review. Overall, the use of PN dexamethasone did not provide a significant incremental benefit to the duration of analgesia [ratio of means (ROM), 1.23; Hartung-Knapp-Sidik-Jonkman (HKSJ) 95% confidence interval (CI), 0.85 to 1.85; P = 0.23] or to motor block duration (ROM, 1.14; HKSJ 95% CI, 0.98 to 1.31; P = 0.07). Also, at 24-hr follow-up, there was no significant difference between the two groups regarding pain scores (standardized mean difference, 0.36; HKSJ 95% CI, -0.08 to 0.80; I2 = 75%; P = 0.09) and cumulative opioid consumption (mean difference, 5.23 mg; HKSJ 95% CI, -4.60 to 15.06; P = 0.15). Lastly, no long-term nerve-related complications were observed with the use of PN dexamethasone. The results of our meta-analysis suggest that PN and IV dexamethasone provide equivalent analgesic benefits and have similar safety profiles, when used as adjuvants, for peripheral nerve blockade. The online version of this article ( https://doi.org/10.1007/s12630-017-1008-8) contains supplementary material, which is available to authorized users. La dexaméthasone est fréquemment utilisée comme adjuvant aux anesthésiques locaux pour compléter les blocs nerveux périphériques; toutefois, sa voie d’administration optimale et son innocuité demeurent inconnues. Une revue systématique et une méta-analyse des études randomisées contrôlées (ERC) ont été réalisées afin de comparer les avantages distinctifs de la dexaméthasone administrée par voie intraveineuse (IV) vs périnerveuse (PN) lorsque ces modalités sont utilisées comme adjuvants à un bloc nerveux périphérique pour améliorer l’analgésie. Une stratégie de recherche a été mise au point afin d’identifier les articles éligibles dans les bases de données Cochrane et de la National Library of Medicine depuis leur création et jusqu’au mois de juin 2017. Le thésaurus du navigateur de descripteurs médicaux (termes MeSH) du Centre national pour les renseignements biotechnologiques américain (National Center for Biotechnology Information) a été utilisé afin d’identifier les termes de recherche et les combinaisons de mots-clés. Le critère d’inclusion de notre étude était tout essai clinique ayant alloué aléatoirement des patients adultes (âgés de 18 ans ou plus) à recevoir de la dexaméthasone IV ou PN pour un bloc nerveux périphérique. Après une lecture du texte intégral des articles potentiellement éligibles, 14 ERC ont été incluses dans cette revue. Globalement, l’utilisation de dexaméthasone PN n’a pas procuré d’avantage supplémentaire significatif en matière de durée de l’analgésie [rapport de moyennes (RM), 1,23; intervalle de confiance (IC) 95 % de Hartung-Knapp-Sidik-Jonkman (HKSJ), 0,85 à 1,85; P = 0,23] ou de durée du bloc moteur (RM, 1,14; IC 95 % HKSJ, 0,98 à 1,31; P = 0,07). En outre, au suivi de 24 h, il n’y avait aucune différence significative entre les deux groupes en matière de scores de douleur (différence moyenne standardisée, 0,36; IC 95 % HKSJ, -0,08 à 0,80; I2 = 75 %; P = 0,09) et de consommation d’opioïdes cumulée (différence moyenne, 5,23 mg; IC 95 % HKSJ, -4,60 à 15,06; P = 0,15). Enfin, aucune complication neurologique n’a été observée à long terme avec l’utilisation de dexaméthasone PN. Les résultats de notre méta-analyse suggèrent que la dexaméthasone PN et IV procurent des bienfaits analgésiques équivalents et affichent des profils d’innocuité semblables lors de leur utilisation pour un bloc nerveux périphérique. Due to the uncertainty surrounding the use of PN vs IV dexamethasone for prolonging the duration of analgesia, the optimal method to administer the drug remains a topic of debate. Thus, the primary objective of this meta-analysis was to evaluate the incremental benefit of PN vs IV dexamethasone for improving the duration of analgesia in adult patients (>18 yr of age) undergoing peripheral nerve blockade. The secondary objectives were to compare the effectiveness of their routes of administration for motor block duration, improving pain control, decreasing postoperative opioid consumption, and limiting overall adverse events. Any clinical trial that randomly allocated adult patients (≥18 yr old) to receive either PN or IV dexamethasone for peripheral nerve blockade was considered for inclusion. Trials were excluded if they evaluated the efficacy of dexamethasone as an adjunct to local anesthesia vs the use of local anesthesia alone. Studies were also excluded if continuous catheter-based nerve blocks were used. No language restrictions were placed on inclusion and non-English articles were translated using an online translator. A librarian (T.R.S.) versed in evidence-based medicine created a search strategy for the Cochrane and National Library of Medicine databases from inception until June 20, 2017. The full search strategy can be viewed in Appendix A (available as Electronic Supplemental Material). The National Center for Biotechnology Information Medical Subject Headings browser thesaurus was used to identify search terms and combinations of keywords. All keywords were used as single search terms and in combination. Two independent reviewers (C.S. and T.V.D.L.) screened all abstracts that were retrieved through the electronic search strategy. Following this initial screening, the full-text versions of potentially eligible articles were retrieved and further evaluated for inclusion. In the case of disagreement, the two reviewers evaluated the full article and deliberated until a consensus was reached. When consensus could not be reached, a third reviewer (N.H.) assessed the article for eligibility. The reference lists of all eligible articles were hand-searched to help ensure that no clinical trial was missed. Intra-observer agreement between the two independent reviewers for full-text eligibility was assessed by calculating an unweighted kappa (κ). The primary outcome of this meta-analysis was the assessment of any difference in incremental benefit in the duration of analgesia from PN vs IV dexamethasone when used as adjuvants for peripheral nerve blockade. Secondary outcomes included motor block duration, postoperative pain at 24-hr follow-up, postoperative opioid consumption at ≥ 24-hr follow-up, and the following adverse events: nausea, vomiting, hyperglycemic episodes, and nerve-related complications. An independent reviewer (C.S.) created and initially piloted a data extraction form. Two independent reviewers (N.H. and C.S.) performed data extraction to minimize the risk of error and to ensure accuracy. 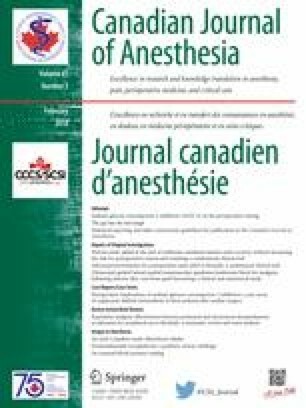 The following study-specific data were extracted: type of surgery; regional block and injection technique; dose of dexamethasone; type, concentration, and volume of local anesthetic; duration of analgesia as time from injection; motor block duration; sensory block duration; opioid consumption/morphine opioid equivalents (including follow-up time); postoperative pain score (including scale used to assess pain and follow-up time); and adverse events. Data reported in graphical form was extracted from a graph digitizer software (GraphClick, Arizona Software). The corresponding authors of all included studies were contacted as needed for additional data or summary statistics. Specifically, when data were reported as median [interquartile range (IQR)], further information was sought for mean (standard deviation [SD]). If no response was obtained, statistical conversions were made to a mean (SD) using the methods described by Wan et al. 13 Data were excluded from analysis if the conversion could not be made. Two independent reviewers (N.H. and C.S.) used the Cochrane Tool for Risk of Bias questionnaire to assess the methodological quality of all included randomized trials.14 In the case of disagreement between the two independent reviewers, a third reviewer (A.V.) assessed the study in question. Studies were evaluated based on their randomization techniques, blinding of study personnel/patients, incomplete outcome data, and selective outcome reporting. For each question in the tool, the study was classified as having a low, unclear, or high risk of bias. With regard to incomplete outcome data, studies were classified as low risk of bias if the follow-up rate was ≥ 80%.14 For bias from selective outcome reporting, studies were classified as low risk of bias if trials were preregistered and their protocols were available for full review.14 The intra-observer agreement between the two independent reviewers on the risk of bias assessment was evaluated by calculating an unweighted κ. A funnel plot was created and visually inspected to assess publication bias in the primary outcome. In the absence of significant bias, the plot should generally take the shape of a symmetrical inverted funnel. When necessary, all time measurements were converted to hours to ensure consistent units between studies. To determine the overall effect size for all time-to-event outcomes (duration of analgesia and motor block duration), a ratio of means (ROM) with a 95% confidence interval (CI) was calculated. For analysis of postoperative pain, a standard mean difference (SMD) with a 95% CI was calculated, and for total opioid consumption (mg) and change in postoperative glucose level (mg·dL−1), a mean difference (MD) with a 95% CI was calculated. Nausea/vomiting and nerve-related complications were analyzed categorically and reported as a risk ratio (RR) with a 95% CI. Statistical pooling of data was performed only when there were two or more studies for a given outcome. All outcome data were initially pooled using the DerSimonian and Laird random effects model; however, due to expected heterogeneity and the limited number of studies, we conducted further post hoc analysis using the Hartung-Knapp-Sidik-Jonkman (HKSJ) method for random effects, as described by IntHout et al.15 Studies have found the HKSJ method to be better suited than the DerSimonian and Laird random effects model for meta-analyses with a limited number of studies due to its conservative estimates of between-study variance.15,16 Furthermore, error rates (i.e., the percentage of statistically significant meta-analyses when the overall mean treatment difference is zero) have been found to be lower with the HSJK method when substantial heterogeneity (I2 = 90%) is present.15 The 95% CIs from the HKSJ method have been reported in this review. An I2 threshold of 40% was used for conducting subgroup analysis.14 If heterogeneity was present, a priori subgroup analysis was performed on the basis of dexamethasone dose, which was stratified as being low (4-5 mg) or high (8-10 mg). It has been thought that IV administration of dexamethasone requires higher doses to achieve analgesia, whereas lower PN doses are needed to achieve similar effects.17-21 Subgroup analyses were performed only if each subgroup had ≥ two studies present. Review Manager software (RevMan version 5.2; Nordic Cochrane Centre, Cochrane Collaboration) was used to generate the forest and funnel plots presented in this review. Intra-observer agreement between independent reviewers, as assessed through the unweighted κ, was calculated using SPSS® software version 21.0 (SPSS Inc., Chicago, IL, USA). All tests of significance were two-tailed, and P values < 0.05 were considered significant. The primary literature search initially identified 570 articles. After the initial title and abstract review, 550 articles were excluded because of the inclusion of animals, incorrect group comparison, or non-randomization. Subsequently, 20 articles were assessed for full-text eligibility. Six of these were excluded because they either assessed the role of dexamethasone as an adjuvant for peripheral nerve blockade without comparing the routes of administration or were commentaries. Thus, 147-10,22-31 randomized-controlled trials (RCTs) satisfied the full inclusion criteria. The unweighted κ, as calculated for the level of agreement between the two independent reviewers, was found to be 0.77. A full flow diagram of study inclusion can be viewed in Fig. 1. All 14 studies included in this review were conducted at various centres in the United States, Canada, Europe, Asia, and South America. In all, 501 and 506 subjects were randomized to receive IV dexamethasone or PN dexamethasone, respectively. Eight of the trials evaluated the efficacy of IV vs PN dexamethasone on prolonging the duration of analgesia for upper extremity procedures,7-10,22,24,27,29 while six analyzed the comparison for lower extremity procedures.23,25,26,28,30,31 The type of peripheral nerve blocks performed included interscalene,7-9,27,30 sciatic,26,28 supraclavicular,10 axillary,22 infraclavicular,24 femoral,25 ankle,23 combined lumbar plexus and sciatic,29 and combined femoral and sciatic.31 The local anesthetic used for the peripheral nerve block also varied across the studies, with seven utilizing bupivacaine10,22,24,26,28,29,31 and seven utilizing ropivacaine.7-9,23,25,27,30 One study28 also added IV or PN buprenorphine to the mixture of local anesthetics and dexamethasone. The studies also differed on the dose of dexamethasone used; these included 10 mg,9 8 mg,10,22,23,25-27,29,31 5 mg,8,24 and 4 mg.7,28,30 Table 1 shows characteristics of all included studies, and Appendix B (available as Electronic Supplementary Material) contains the individual results of these studies. The corresponding authors of select studies were contacted to obtain additional data that would allow for the generation of a more accurate estimate of effect. Three studies9,26,27 provided their complete dataset. One10 study responded to our requests and provided us with mean and SDs for the outcomes reported as median and IQR. Across all included studies, most methodological quality parameters were classified as “low” risk of bias. It is noteworthy that six of the trials were preregistered with clinical trial registries and had associated protocols available for review.8,9,24,26,28,30 The unweighted κ between the two independent reviewers assessing the risk of bias of all included studies was 0.72. A diagram depicting the final risk of bias assessment across all parameters can be seen in Fig. 2. Visual inspection of the funnel plot for the primary outcome, duration of analgesia, did not suggest publication bias (Appendix C; available as Electronic Supplementary Material). Duration of analgesia was assessed in 11 studies, with five10,22,24,26,28 defining the outcome as time to first sensation of pain and six7-9,25,27,31 defining the outcome as time to first analgesic request. Two studies8,28 reported the outcome with measures that were not amenable to statistical pooling, and one study7 had their data converted to a mean and SD. As such, data from nine studies7,9,10,22,24-27,31 including 679 patients (PN 342, IV 337) were analyzed. Overall, PN dexamethasone appeared to prolong the duration of analgesia by an additional 23%; however, the difference was not statistically significant (ROM, 1.23; HSJK 95% CI, 0.85 to 1.85; I2 = 90%, P = 0.23, Fig. 3). Subgroup analysis was performed as per our a priori hypothesis since heterogeneity was above the predefined cut-off. No significant difference was found between PN and IV dexamethasone regardless of using low (4-5 mg)7,24 (ROM, 1.21; HSJK 95% CI, 0.98 to 1.49; I2 = 0%; P = 0.05) or high (8-10 mg)9,10,22,25-27,31 (ROM, 1.27; HSJK 95% CI, 0.76 to 2.13; I2 = 92%; P = 0.30) doses (Fig. 3). Eight studies10,22-24,26,29-31 assessed motor block duration. The data from one23 of these studies were excluded from analysis since the authors reported overall block duration and did not stratify their data based on either sensory or motor block durations. As such, seven studies10,22,24,26,29-31 including 525 patients (PN 263, IV 262) were analyzed. Perineural dexamethasone appeared to prolong motor block duration by an additional 14%; however, the difference was not statistically significant (ROM, 1.14; HSJK 95% CI, 0.98 to 1.31; I2 = 91%; P = 0.07, Fig. 4). Subgroup analysis was performed as per our a priori hypothesis since heterogeneity was above the predefined cut-off. No significant difference was found between PN and IV dexamethasone regardless of using low (4-5 mg)24,30 (ROM, 1.23; HSJK 95% CI, 0.92 to 1.64; I2 = 0%; P = 0.06) or high (8-10 mg)10,22,26,29,31 (ROM, 1.10; HSJK 95% CI, 0.88 to 1.37; I2 = 93%; P = 0.29) doses (Fig. 4). Nine studies assessed postoperative pain at 24-hr follow-up.8-10,25-30 Five of these studies10,25,27,29,30 used the visual analogue scale, while three8,26,28 used the numeric rating scale, and one9 utilized the verbal rating scale. Two studies8,29 had their data converted to mean and SD. As such, nine studies8-10,25-30 including 560 patients (PN 281, IV 279) were analyzed. Overall, no significant difference was observed in pain scores at 24-hr follow-up between patients receiving PN vs IV dexamethasone (SMD, 0.36; HSJK 95% CI, -0.08 to 0.80; I2 = 75%; P = 0.09, Fig. 5). Subgroup analysis as per our a priori hypothesis was carried out since the heterogeneity was above the predefined cut-off. No significant difference in postoperative pain at 24-hr follow-up was found between PN and IV dexamethasone regardless of using low (4-5 mg)8,28,29 (SMD, −0.06; HSJK 95% CI, -0.38 to 0.26; I2 = 0%; P = 0.49) or high (8-10 mg)9,10,25, 26, 27,30 (SMD, 0.58; HSJK 95% CI, −0.04 to 1.20; I2 = 78%; P = 0.06) doses (Fig. 5). Ten studies8-10,23,25-28,30,31 assessed opioid consumption at ≥ 24-hr follow-up. Three studies8,28,30 did not report cumulative opioid use at ≥ 24-hr follow-up but rather reported the total number of patients requiring opioids. One study9 did not report mean values for opioid consumption since only seven patients required opioids, and one study31 prescribed opioid rescue analgesics for postoperative pain but did not report the cumulative mean amount given. Thus, five studies10,23,25-27 including 294 patients (PN 150, IV 144) evaluating postoperative opioid consumption at ≥ 24-hr follow-up were included in the analysis. Perineural dexamethasone appeared to reduce postoperative opioid consumption at ≥ 24-hr follow-up by 5.23 mg; however, the difference was not statistically significant (MD, 5.23 mg; HSJK 95% CI, -4.60 to 15.06; I2 = 72%; P = 0.21, Fig. 6). Although heterogeneity was above our predefined cut-off, subgroup analysis was not performed since each subgroup did not contain ≥ two studies. The most commonly reported adverse event was nausea and vomiting. Eight studies7,8,10,23,25,27,28,30 assessed nausea and vomiting postoperatively in 452 patients (PN 229, IV 223). Although the risk of postoperative nausea and vomiting was increased by 1.57 times with IV dexamethasone administration, the difference between the groups was not statistically significant (RR, 1.57; HSJK 95% CI, 0.8 to 3.0.7; I2 = 0%; P = 0.15, Fig. 7). Subgroup analysis was not performed since the heterogeneity did not meet our predefined threshold. Three studies assessed perioperative glucose levels.8,9,25 One study25 reported that three patients who received IV dexamethasone suffered from hyperglycemia, whereas no occurrences were seen in the PN group. Two studies8,9 reported a change in glucose levels from baseline (n = 197). Although both studies8,9 reported a mean increase in blood glucose values regardless of route of administration, no significant difference was observed between the two groups (MD, 1.43 mg·dL−1; HSJK 95% CI, −2.55 to 5.41; I2 = 0%; P = 0.13). Due to the limited number of studies included in this outcome, subgroup and sensitivity analysis was not performed. Ten studies7-10,22,24-28 (n = 763) assessed nerve-related complications at several different follow-up times, with six 8,9,22,26-28 reporting nerve palsies, paresthesias, and numbness (Table 2). In four of these studies,8,9,22,27 nerve injuries were transient and resolved by one month follow-up. On the other hand, two studies26,28 reported numbness that persisted beyond one month. In both studies,26,28 the numbness resolved at a later follow-up time. In the IV group, 40/378 patients experienced a neurological complication vs 47/385 patients in the PN group. Overall, no significant difference in the risk of developing postoperative nerve-related complications was found between the two groups (RR, 0.87; HSJK 95% CI, 0.71 to 1.06; I2 = 0%; P = 0.13). In summary, the results of this meta-analysis suggest that, irrespective of dose, the use of PN dexamethasone does not appear to provide a significant incremental benefit to the duration of analgesia or motor blockade when compared with the use of IV dexamethasone. Furthermore, our findings suggest that, irrespective of dose, PN dexamethasone does not appear to provide a significant incremental benefit to postoperative pain and cumulative opioid consumption at ≥ 24-hr follow-up. Finally, PN dexamethasone does not appear to lead to long-term neurologic complications. As with its mechanism of action, the optimal dose of dexamethasone for peripheral nerve blockade also remains to be resolved. Woo et al.21 compared the effectiveness of differing doses of PN dexamethasone for prolonging the duration of analgesia and reported that 5 mg of PN dexamethasone provided 24.2 hr of analgesia, while larger doses offered no additional benefit.21 Indeed, our findings also show a comparable incremental prolongation of analgesia between low-dose and higher dose dexamethasone when administered perineurally. There are also intriguing reports suggesting that the 95% effective dose may be even as low as 1-2 mg for PN dexamethasone and higher than 0.1 mg·kg−1 for its IV use.17,18 A meta-analysis conducted by De Oliveira et al.19 found that systemic dexamethasone achieves optimal analgesic effects when the dose is greater than 0.1 mg·kg−1; in contrast, higher doses (8-10 mg) of dexamethasone provide no additional benefit. Future studies should focus on evaluating the dose-dependent analgesic effects of PN and IV dexamethasone administration. Finally, it is extremely important to determine whether PN dexamethasone causes neuronal injury. Several investigators have addressed this. Williams et al. 44 evaluated in vitro toxicity of PN adjuvants to ropivacaine in a rat model. In their study, the administration of supratherapeutic doses of dexamethasone (667 µg·mL−1) for two hours did not result in detectable neuronal cell death.44 Similarly, the addition of dexamethasone to ropivacaine did not increase neuronal cell death compared with ropivacaine alone.44 Williams et al.45 also evaluated in vivo local tissue effects of dexamethasone (66 µg·mL−1) and reported no evidence of behavioural changes in their rat model at one or 15 days.45 Furthermore, histopathological examination in these animals revealed no changes in the neuronal architecture.45 Although it is difficult to translate animal studies to humans, the results from our meta-analysis are consistent with these findings since no persistent neurological deficits were reported by any of the included RCTs. Our meta-analysis comes with several notable strengths. First, we evaluated and compared the use of PN vs IV dexamethasone for peripheral nerve blockade on a variety of outcomes. In addition, we incorporated the HSJK random effects model into our analysis and generated novel results that are potentially more accurate than those previously reported. Another strength of this meta-analysis is that we obtained additional data from the authors of included studies which were not previously made available to readers. This allowed us to provide larger estimates of effects; however, the confidence intervals for some of our point estimates remained large, which limits external validity and a true differentiation between PN and IV dexamethasone. Our review has several limitations. First, our subgroup analysis did not show a reduction in heterogeneity to levels below those of our predefined threshold values. This may have been due to factors such as the formulation of dexamethasone, amount/types of local anesthetics, inclusion of adjuvants to nerve blocks, and the sites used for the peripheral nerve blocks. Furthermore, the definition of outcomes and the methods used for their measurement varied across the studies. Additionally, several data points were converted from median and IQR to a mean and SD. Median and IQR are often reported for data that do not follow a normal distribution. As a result, this conversion may have skewed the data in a way that reduced accuracy. Finally, there may be an inadequate number of patients studied to determine the true incidence of rare adverse effects of PN dexamethasone. Clinical consensus is lacking with regard to the optimal route of administration and dosage of dexamethasone for enhancing peripheral nerve blockade. The results of this meta-analysis suggest that, irrespective of dose, the use of PN dexamethasone does not appear to provide a significant incremental benefit to the duration of analgesia or motor blockade when compared with the use of IV dexamethasone. Similarly, PN dexamethasone does not appear to provide a significant incremental benefit in terms of pain control at 24-hr follow-up and opioid consumption at > 24-hr follow-up, regardless of dose. Furthermore, our analysis did not reveal any long-term neurological adverse events related to the use of PN dexamethasone. Taken together, the results of our meta-analysis suggest that PN and IV dexamethasone provide equivalent analgesic benefits and have similar safety profiles when used as adjuvants for peripheral nerve blockade. We sincerely thank all the corresponding authors who graciously provided us with their data for this meta-analysis. The authors also thank Aamir Ahmed for his contributions to the manuscript. Nasir Hussain and Amaresh Vydyanathan were involved in concept development. Nasir Hussain, Tom Van den Langenbergh, Corey Sermer, Manuel L Fontes, Amit Atrey, Naum Shaparin, and Amaresh Vydyanathan were involved in manuscript preparation. Nasir Hussain, Tom Van den Langenbergh, Corey Sermer, and Tamara R. Sawyer were involved in methods development. Nasir Hussain was involved in data collection and statistical analyses.